LeaderTask Standard from Almeza is an indispensable assistant for a modern businessman! LeaderTask Standard will be especially useful for people who extensively use the computer in their business. It is indispensable for businesspeople who have a lot of contacts on the Internet, for e-shop owners, for those who own small or medium businesses and sell products not only on the Internet, but in real life as well. The program will help you organize your cooperation with all types of contacts in a convenient form: clients, employees, customers, partners. LeaderTask Standard is a boss’s tool used to build a personnel management system. Managing the personnel. Assigning tasks, monitoring their completion. LeaderTask Standard will help you keep record of agreements, accounts, payments, other documents, products, services. LeaderTask Standard will automate the work of the sales department, planning department, financial department. 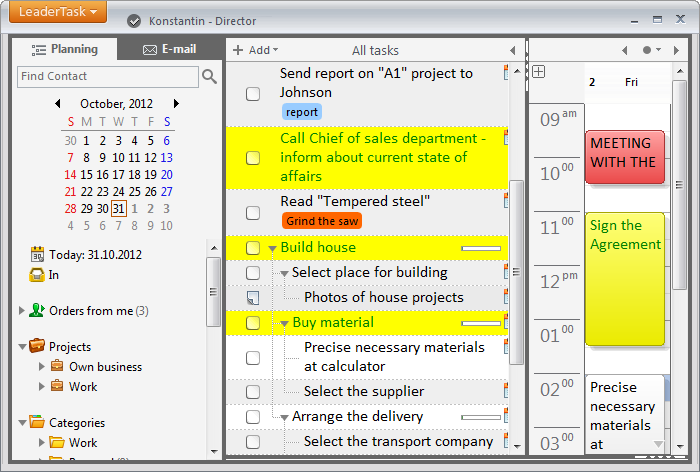 Also, it is possible to automate all kinds of other tasks as well. Due to grouping and filtering implemented in a convenient way, you can easily see how your employees work, monitor advertising campaigns, control task completion, check payments. LeaderTask Standard offers absolutely everything a modern businessman may need: reminders about important meetings, a scheduler, an address book and also a secure storage for confidential information. LeaderTask Standard Trial version can be downloaded from the following link. 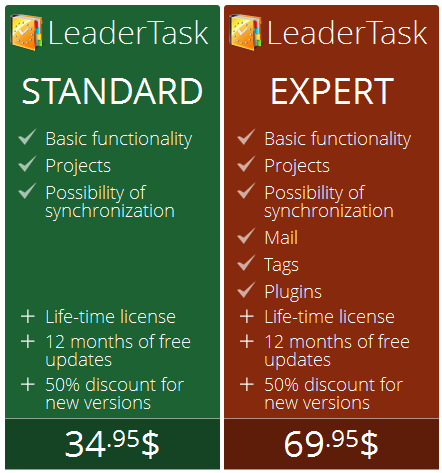 LeaderTask Standard costs $34.95 and can be purchased using this link. The expert edition costs $69.95 and can be purchased using this link. For a limited time, you can get LeaderTask Standard free at Giveawayoftheday.